Signed lower right. 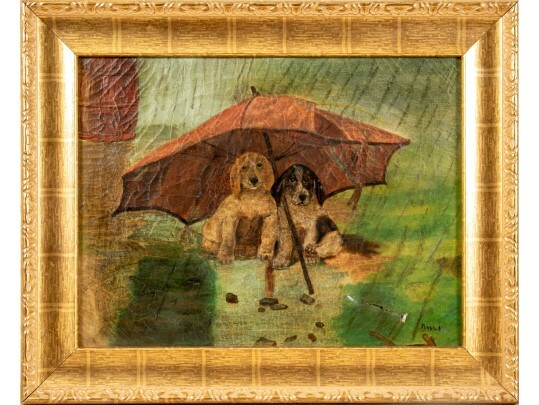 The dogs are seated under an umbrella in the rain. gilt frame 18 x 22 1/2"